Earlier this month, the WCB Alberta announced an increase to the cost threshold used to exclude No Time Loss (NTL) claims from the experience rating calculations that establish WCB premiums. The threshold is subject to annual review and although cost threshold increases are not usually a benefit to employers, an increase to the NTL claims cost threshold is. For claims occurring in 2019, the threshold will increase from $1,400 to $1,500. Claims occurring in 2019 will first be used for experience rating calculations in 2021. For NTL claims occurring in 2017 and 2018, the threshold is $1,400. For claims occurring in 2016, the threshold is $1,300. For claims occurring in 2015 and prior years, the threshold used is $1,000. What is an NTL claim? The WCB Alberta defines an NTL claim as a situation where, following a work-related accident, an injured worker returns to regular duties without losing time from work beyond the day of the accident and does not have a permanent disability. Medical costs and other benefits are issued but no income replacement payments are made. Employers are responsible to pay full wages for the day the accident occurred if time loss from work is necessary to seek medical attention at the time of the accident or injury it is covered by the employer. Further information about NTL claims and how they are adjudicated can be found here. How do NTL Claims Affect WCB Premiums? In order to grasp how the claim costs threshold increase can benefit employers, it is necessary to understand the impact of NTL claims in the calculation of WCB premiums. For small business employers, or employers that pay less than $15,000 in WCB premiums over a three year period, the increase in the NTL claims cost threshold has no bearing. Regardless of how high the costs are on an NTL claim or how many NTL claims a small business has, NTL claims costs are not included in the calculation of WCB premiums. For large business employers or employers that pay more than $15,000 in WCB premiums over a three year period, the increase can have a significant effect on the premium calculation. NTL claims with costs under the threshold are not included in premium calculations, however, NTL claims with costs over the established threshold are. For large employers, any NTL claims with costs over the threshold and all-time loss (TL) claims are totalled, then the total is compared with the industry average (or the average costs of comparably sized employers in the same industry). If an employer’s total is lower than the industry average, they will receive a premium discount, if their total is above the average, they will be levied a surcharge. Therefore, being able to exclude NTL claims with costs under the threshold helps minimize the total claims costs used to calculate premiums. How Can NTL claims Costs be Contained? What is the Benefit of the NTL Claims Cost Threshold increase? The benefit of the increase in the NTL claims cost threshold for large employers means that NTL claims can accumulate higher costs before they will be included in the total claims costs used to establish premium rates. Over time, providing the same quality of care and treatment for even minor WCB accidents and injuries becomes more costly. The threshold increase to $1,500 is the WCB Alberta’s way of acknowledging the rising cost of living while continuing to provide an incentive for employers to report work-related incidents without fear of repercussions reflected in higher premiums. Why Report Minor NTL Claims? The final outcome of any WCB claim, even NTL claims, is not always clear until the claim reaches its conclusion. Sometimes what may appear to be a very minor injury ends up being more complicated and involved than expected. There is no real way of knowing when a claim will reach the claim cost threshold but what is known is that early WCB involvement on a claim can help provide timely medical intervention and investigations, ultimately keeping costs down. Delays in reporting can result in a significant increase in costs, turning what may have been an NTL claim under the threshold into a claim that impacts your WCB premiums. 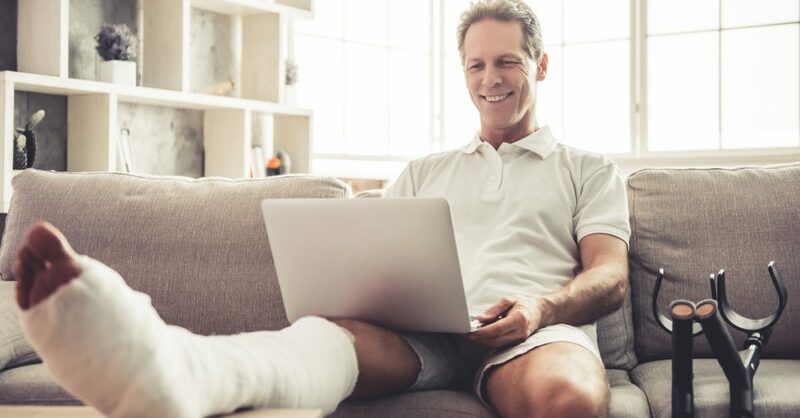 More information on WCB claims and how they affect WCB premiums can be found in our recent blog post here or at the WCB Alberta website here. If you would like additional explanation or further details on your business classification, modified duties programs, NTL claims review or how NTL claims will affect your organization you can connect with us on our Facebook page, through our Twitter account, on our LinkedIn profile and you can always email us at BCL.Calgary@bclconsulting.ca or at BCL.Edmonton@bclconsulting.ca or contact us directly at 1-844-377-9545.